Aristotle Greek Philosopher – 384-322 B.C. Anger is bad. It is an unhealthy emotion and it is counterproductive – or is it? We fear anger in ourselves and we fear it in others. After all, anger is a powerful emotion. Its energy is intense. Our blood boils. We see red. We want to yell, punch, curse, or spit…cry or run away. The physical sensations can be so uncomfortable that we just want them OUT—however that can occur. This fear of unpleasant sensations often leads to discharging our feelings in inappropriate ways—with destructive words and actions that damage our relationships, our health, our children, and our careers. Or the fear leads to denying our feelings altogether, stuffing them down only to have them pop up destructively in unexpected ways or erode our peace and vitality slowly from the inside out. In this highly informative, inspiring, and encouraging transformational book, Dr. Brandt demonstrates that anger, when expressed appropriately, is a good, healthy and even productive emotion. The power to transform not just our attitude toward anger, but our anger itself lies in mindfulness. 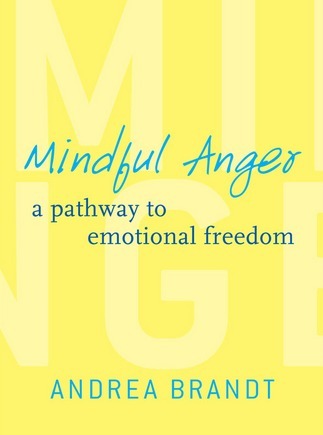 This book will prompt self-reflection and cultivate the mindfulness necessary to make the most of your anger. The books helps readers become proactive, rather than reactive. Choice, is truly empowering, and mindful anger is the key to emotional freedom.